The present study contributes to the understanding of DNA compaction in the cell nucleus at the nucleosomal level. The interaction between DNA and histones affects key processes of cell life, including replication and transcription. This interaction can be described in terms of a free energy profile. In this paper, we calculated the free energy profile during DNA unwrapping from the histone octamer. The calculations were carried out using the MM/PBSA method. The calculated profiles are in good agreement with experimental data published earlier. The obtained results indicate the applicability of the technique for studying the effect of posttranslational modifications of histones and histone variants on nucleosome energy, which is important for understanding the mechanisms of transcriptional regulation in chromatin. Original Russian Text © A.K. Gribkova, G.A. Armeev, A.K. 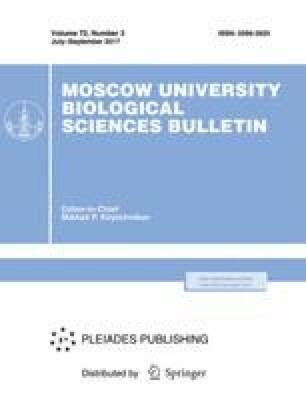 Shaytan, 2017, published in Vestnik Moskovskogo Universiteta, Seriya 16: Biologiya, 2017, Vol. 72, No. 3, pp. 164–168.